High school senior Tara Luna's got all the usual teen problems: a new school, her attraction to a hunky guy, feuds with the Mean Girls, being regarded as an oddball outsider - PLUS she has psychic powers, a duo of protective, meddlesome ghosts, AND an angry, threatening teen-girl ghost who wants Tara to solve her murder - or else. Sharon Sala's books repeatedly make the big lists, including The New York Times, USA Today, and Publisher's Weekly lists. She's been nominated for a RITA seven times, which is the romance writer's equivalent of having an Oscar or an Emmy nomination. 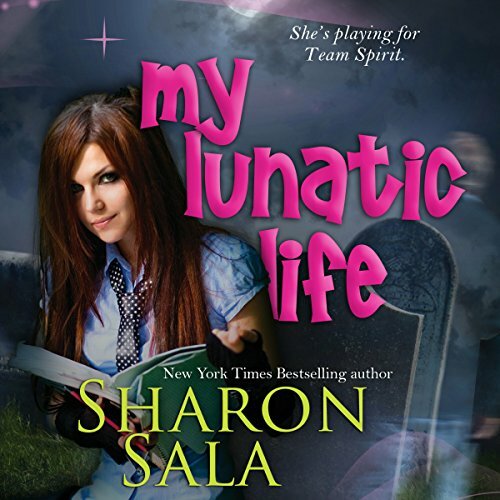 My Lunatic Life is the first book in her Lunatic Life series for teen readers. Coming soon: The Lunatic Detective. Visit her at http://sharonsalabooks.com and on Facebook. ©2011 Sharon Sala (P)2012 BelleBooks, Inc.
Great for a quick listen. I will listen to more from Sharon Sala. I loved this story. Girl with Ghosts. Would you listen to My Lunatic Life again? Why? I would definitely listen again because I don't have pretend to hear the voices! I really like the whole cast of characters! Which character – as performed by Jaicie Kirkpatrick – was your favorite? Jaicie Kirkpatrick did an amazing job on all the characters. This book was a great! A full range of emotions.